Switzerland’s lower house of parliament votes to halt public funding for groups that promote racism, anti-Semitism, and hate. JTA - Switzerland’s lower house of parliament voted to halt public funding for organizations that promote racism, anti-Semitism and hate. Submitted by Christian Imark of the right-wing populist Swiss People’s Party, the bill passed Wednesday by a vote of 111 to 78, with all center-right mainstream parties in support. Voting against the measure were the Social Democratic, Green and Green-Liberal parties. The matter now goes to the Council of States, Switzerland’s upper house of parliament, which reportedly will consider the bill in May. According to the Swiss Basler Zeitung newspaper, Imark, whose party is known for its anti-Muslim stance, introduced the bill out of concern for millions of dollars in Swiss funds that ended up in the hands of Arab organizations that call for violence, expulsion of Jews and destruction of the State of Israel. The payments came from Switzerland’s Federal Department of Foreign Affairs, led by Didier Burkhalter of the liberal FDP party. Humanitarian Law Secretariat, a Palestinian Arab group, which then handed out funds to NGOs in Israel and the Palestinian Authority. 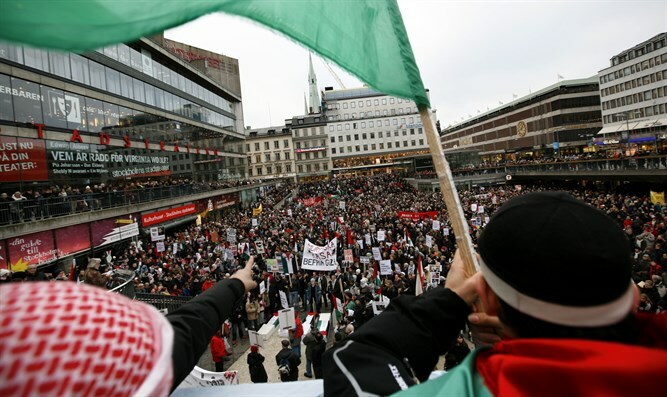 NGO Monitor reported that the Popular Front for the Liberation of Palestine, considered a terrorist organization by the European Union, the United States and others, received some of the money. Speaking before the vote, Imark said he did not want to get involved in the Mideast conflict, but he insisted that Switzerland check carefully where its money was going. Imark said the Swiss foreign ministry was aiding organizations that back the anti-Israel BDS movement, call for Israel’s destruction and conduct anti-Zionist and racist campaigns. Some of the organizations have direct ties to terrorist groups, he said. “If our country carries out a one-sided foreign policy, we will never build peace. On the contrary, we will fan the flames of the conflict, until our own hands are covered in blood,” Imark said. The Swiss branch of the BDS movement reportedly condemned the vote.